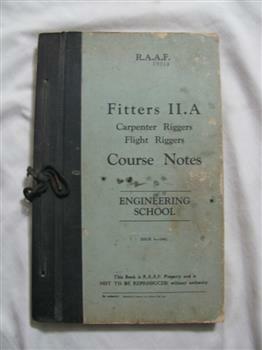 Manual - Course notes for B-24 Liberator aircraft ground crew - Fitters II.A Carpenter, riggers, flight riggers, Course notes. 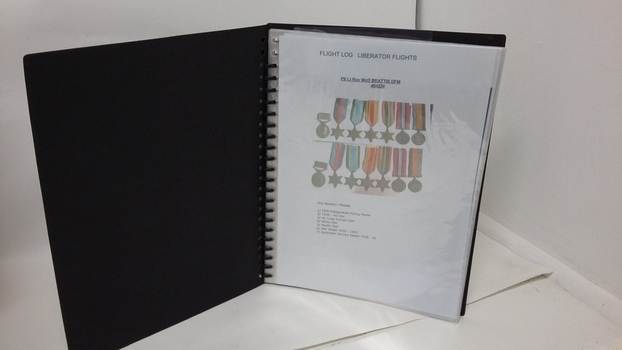 Loose leaf manual in two-ring binder. Pale green with dark green spine. 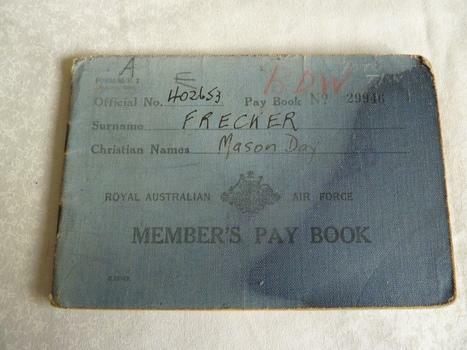 Issued to RAAF ground crew in WWII. 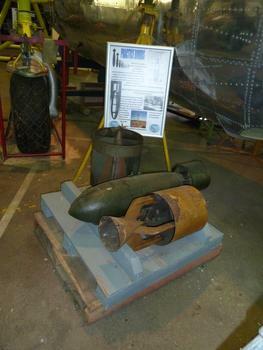 Practice bombs could be service bombs, inert loaded with sand, water for chalk/lime solution. 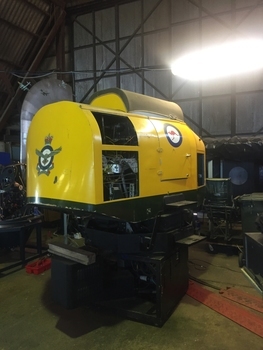 Standard practice bombs were painted white overall with two light green bands painted around centre of the tail. Inert service bombs painted black and those containing an exploder had a red band around the body. 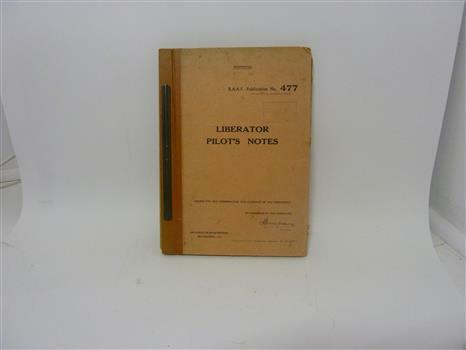 The Liberator Pilot's Notes was issued for the information and guidance of all concerned. 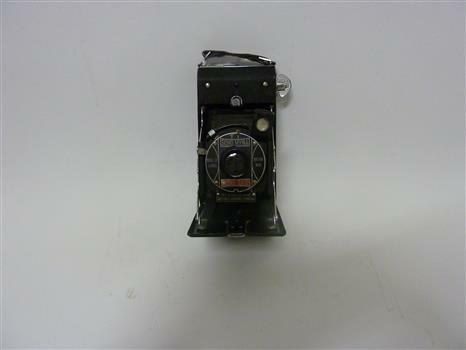 Black covered Electro Mechanical analogue computer with small indicator dials with two divisional connected boxes. Mounts on Minneapolis Honeywell 'stabilizer' unit. 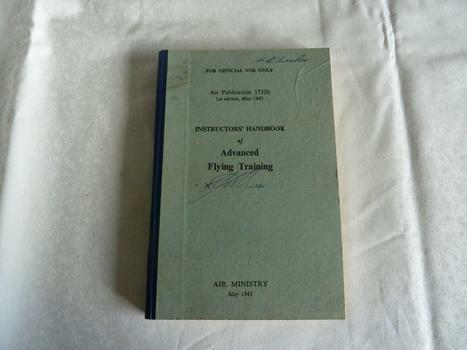 Instructors Handbook of Advanced Flying Training issued by Air Ministry May 1943. 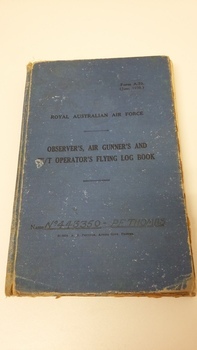 Air Publication 1732b, 1st Edition, May 1943. 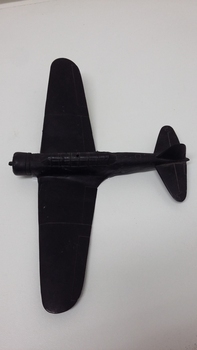 Used by pilot instructors during WWII. 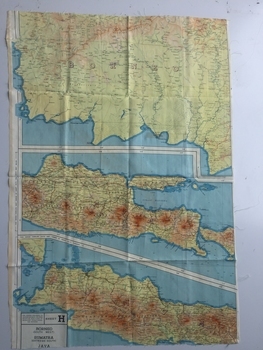 Silk and rayon maps were produced by Great Britain (some 1.75 million in total), the United States (c.7.5 million) and Australia during World War II. 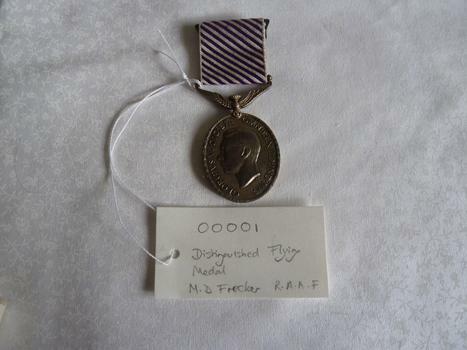 They were issued to Allied military personnel as part of 'escape and evasion' kits. This map, printed on rayon, is an original British 'escape and evasion' kit map from World War II. 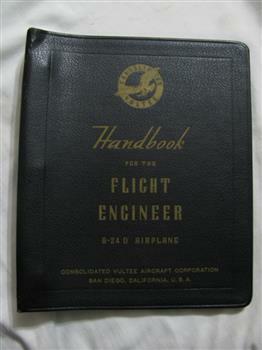 Loose-leaf manual in three-ring binder. Dark brown with gold lettering. 86 pages. Original 1943 manual. 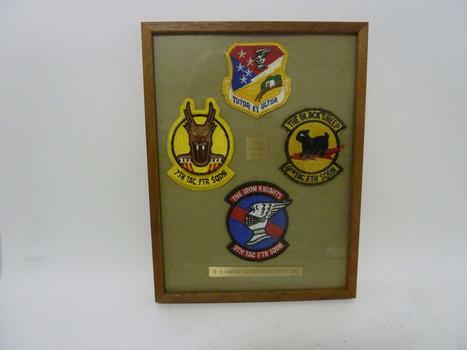 Issued to B-24 Liberator Flight Engineers. 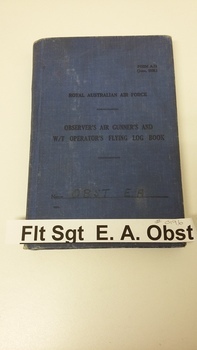 Issued to RAAF B-24 Liberator flight engineers. 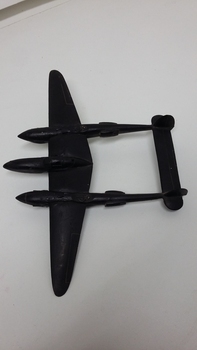 Published 1943 by Consolidated Vultee Aircraft Corporation. San Diego, California. 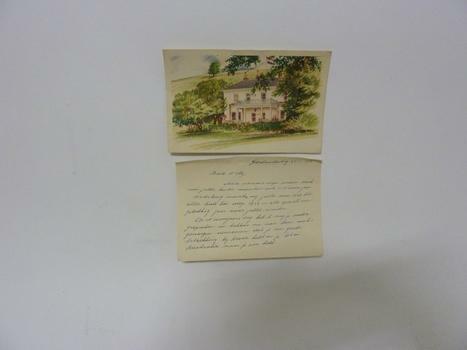 Printed by Fry & Smith Ltd. San Diego, California. 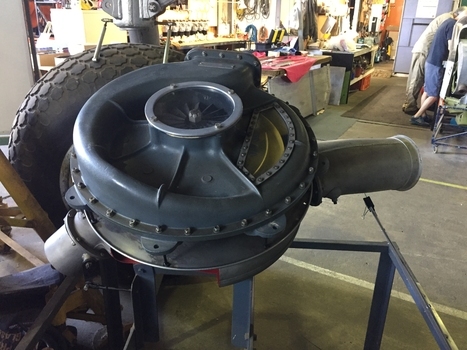 Round metal supercharger with inlet and outlet. 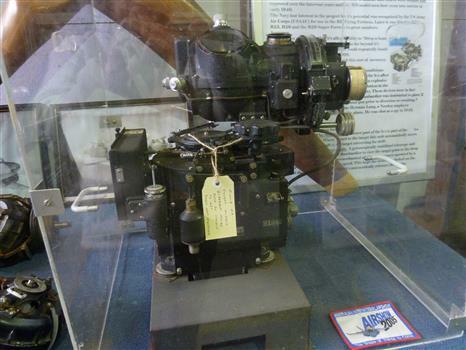 General Electric turbocharger model B-22 was fitted externally to a Pratt & Whitney R1930 14 cylinder twin wasp radial air-cooled engine for the supply of air at an increased pressure to the carburetor intake. 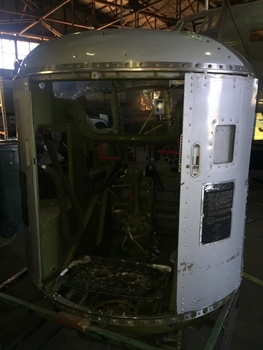 This enabled the B-24 Liberator to maintain a maximum 1300HP at takeoff from sea level to 30,000 ft. ceiling and at high altitude. 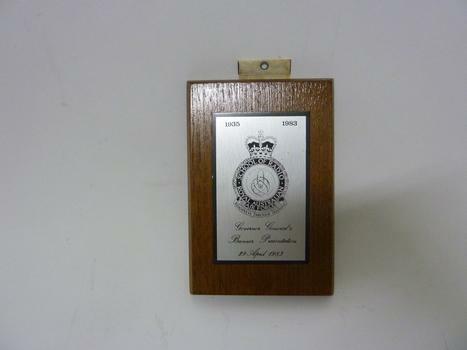 Plaque presented to Wilhelm H. Bakker and Mrs Anne Bakker by RAAF Association, Victorian Division. 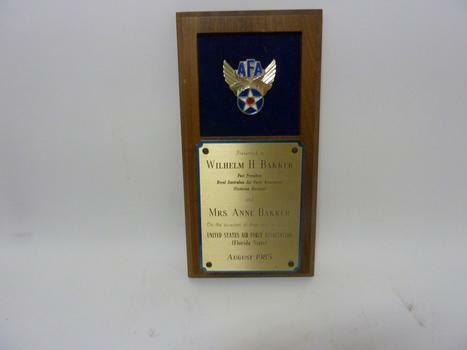 AFA - Presented to Wilhelm H. Bakker, Past President - RAAF Association, Victorian Division and Mrs. Anne Bakker on the occasion of their visit to Florida, USAF Association (Florida State) August 1985. 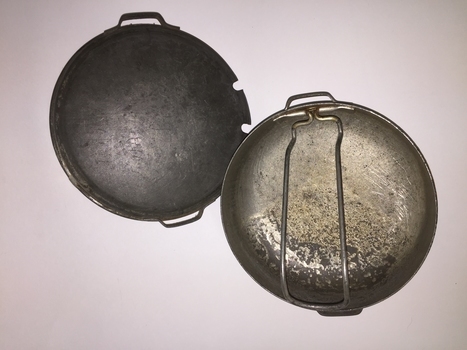 Black metal box with SS flap-top cover, moulding and straps for knee attachment. 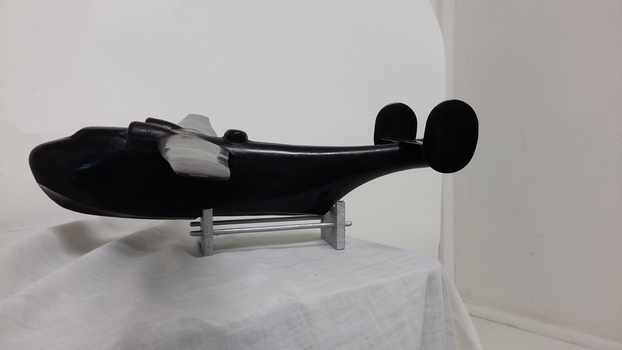 General issue to allied pilots and navigators for airspeed,altitude,air temperature and drift calculations. 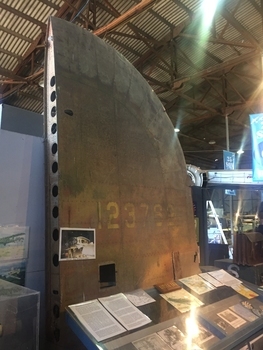 The tail plane/fin from the crash site of Liberator 'Little Eva'. This site is registered as Doomadgee Queensland Australia, approximate GPS Co-ordinates: Latitude -17 56 24 Longitude +138 49 47. Commemoration of the crash of USAAF B-24 Liberator #41-23762 'Little Eva' of the 321st Squadron, 90th Bombardment Group based at Iron Range. Crashed near Burriejell waterhole at Moonlight Creek, Escott Station in far north Queensland on 2 December 1942. Two of the ten crewmen were rescued by the manager of Escott Station after 13 days of deprivation. Blue - Pilot's Notes. Green - Pilot's Notes. Blue - Bristol Aircooled Radial Engines Pilot's Notes, Pegasus CVIII. 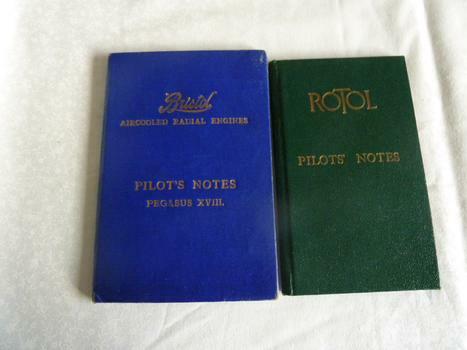 Green - Rotol Pilot's Notes. 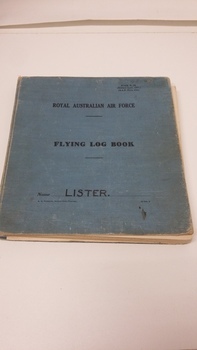 During WWII Vern Roberts was an LAC Fitter 2A (airframe) in RAAF 24 Squadron. 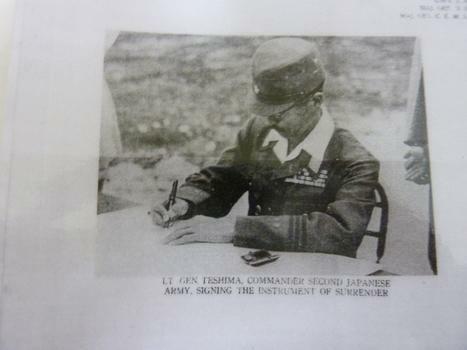 He was stationed on Morotai at the time of the Japanese surrender. All personnel on Morotai at the time were required to attend the parade to witness the signing of the Peace Document. Vern had with him the camera his mother had given him when he left Australia to serve in the RAAF. He carried that camera and used it throughout his war service in the Northern Territory and on Morotai. Vern took the pictures of the ceremony, now on display with his camera. General Sir Thomas Blamey signed the Surrender Document on behalf of the Allied Forces. 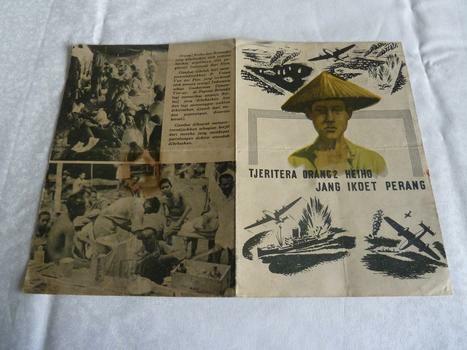 Witnessing the Japanese surrender and signing of Peace Document on Morotai 1945.